You going gym? Just not the same one as you. Let everyone know that you work out everyday at the Pokemon gym with this wall sticker. 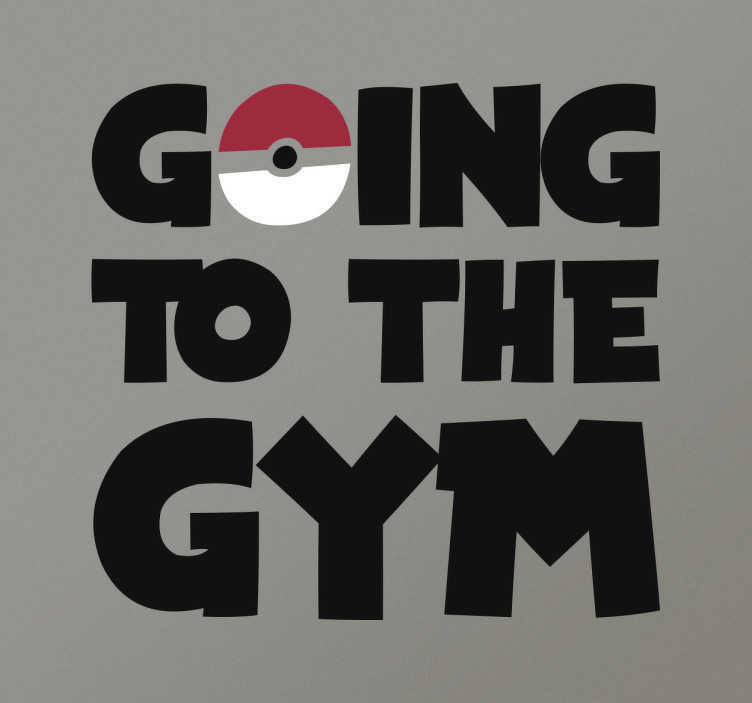 The wall sticker consists of the text "Going to the gym" with a Pokeball replacing the "o" in going. Perfect for any Pokeman fan, age doesn't matter. Like all our designs, the sticker comes in many different sizes and colours.